Perhaps the most famous group of islands in Greece is the Cyclades. The name derives from the Greek word “kyklos” which in English means circle (circular islands), hence the shape the islands form around the sacred island of Delos. According to Greek mythology, the God of the Sea, Poseidon, turned the Cyclades nymphs into islands from fury. Located in the Aegean Sea and comprised of some of the most well-known and particularly beautiful islands in Greece, the Cyclades have million of visitors every year for very obvious reasons: magnificent sandy beaches, Cycladic architecture in white and blue, traditional and authentic lifestyle, heartwarming locals and of course a cuisine that will not disappoint. 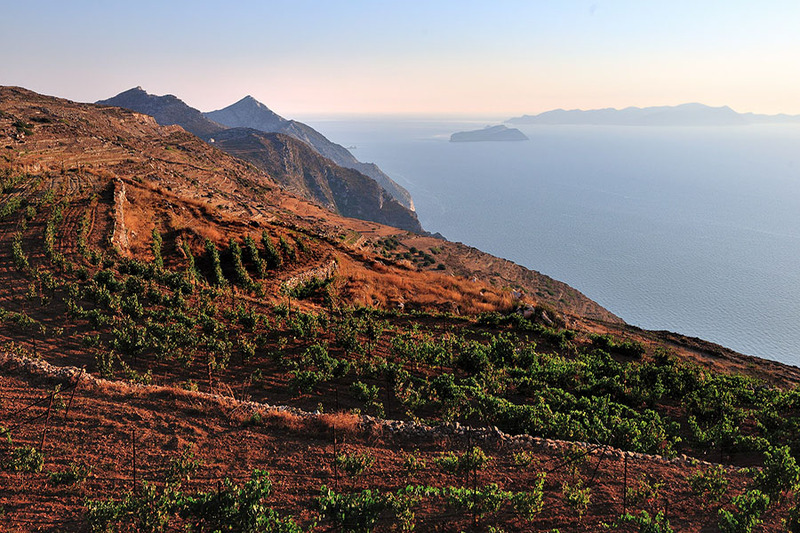 The “off the grid” Cycladic islands that deserve to be mentioned are Sikinos, Ios, Folegandros, Sifnos and Amorgos. Dip your toe in the crystal clear waters, have your stomach thank you after trying out the local cuisine and stroll though whitewashed villages. Just a ferry ride from Athens, Sikinos, one of the lesser-known Cycladic islands, is rarely featured in any travel guide or blog. Having only one petrol station operating two hours a day, Sikinos is a quiet island that can steal your heart, only if you come prepared! If you want to survive on a quiet island like Sikinos, measuring 41 km² and with only 200 permanent inhabitants, you must be both polyvalent and creative. 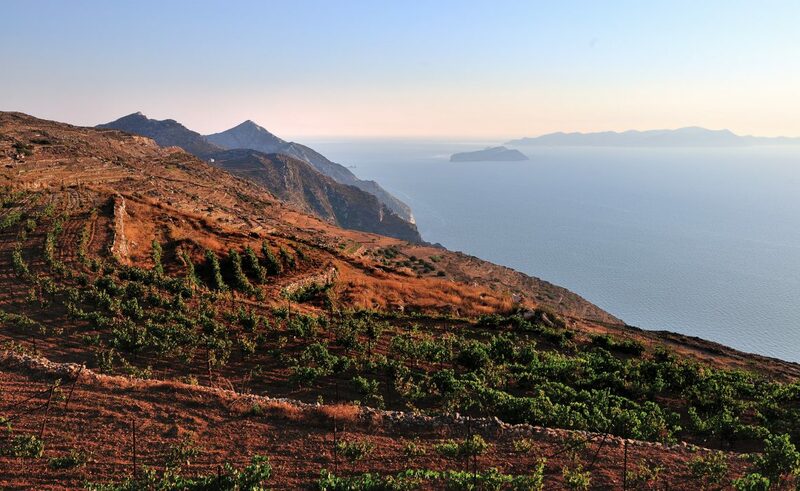 Back in the old days, Sikinos was the wine mecca of the Mediterranean and local grapes such as Asyrtiko, Aidani, Madilaria and Monemvasia were grown on the island in vast quantities. So, with a nice glass of wine you will forget all your worries and just go with the flow of the island. A well-kept secret is definitely Sifnos Island. Lovers of the good life and those who have a more artistic flair often stumble upon Sifnos. It is no accident, as the whitewashed houses found in the villages, the secluded breathtaking beaches and the artsy energy of the place allow you to relax and unwind without feeling the slightest emotion of guilt. Not to forget about the homemade cheeses, spinach pies and meatballs that can be found on any tavern table tasting like home. All those elements have inspired great poets and painters back in the day and continue to inspire upcoming artists today. On this idyllic island, you will find a paradisiac beach called Managari. Its azure waters and gorgeous landscape can be the definitions of heaven on earth! To top it all off the superb cuisine of Ios Island is easily detected. The fish is always the catch of the day and seasoned with fresh handpicked herbs and Mediterranean style dressings with virgin olive oil, oregano and juicy lemons. Taking it slow is the norm on Ios Island giving the traveler a chance to appreciate the surrounding and to forget about the hustle of the city. 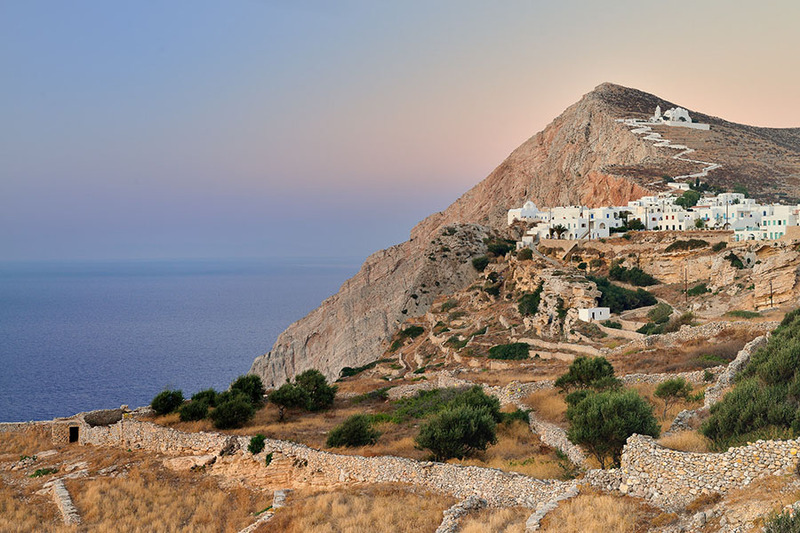 One of the very promising islands in the years to come, Folegandros does not have an airport and is quite far from Athens, making it even more exclusive and bespoke. 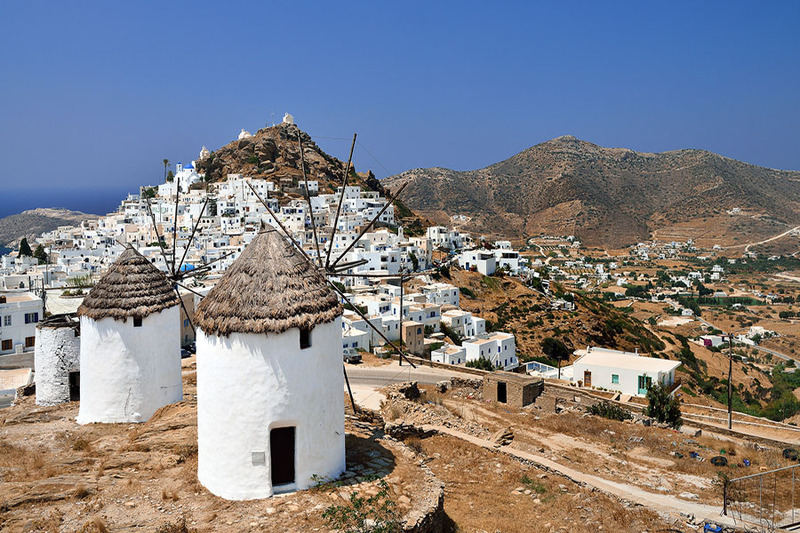 For sophisticated travelers, Folegandros promises a carefree vacation as the center has a no-car policy. A very romantic island where the sunset paints the sky with magical colors, the villages such as Ano Meria have the most hospitable locals and the beaches such as Agkali are so clear that nothing stands in the way between you and your reflection. The Hollywood Movie “Le Grand Bleu” was filmed on this dazzling Cycladic Island, in 1988. Jean Reno was lucky enough to swim in the virgin blue waters and walk on ancient soils while filming. 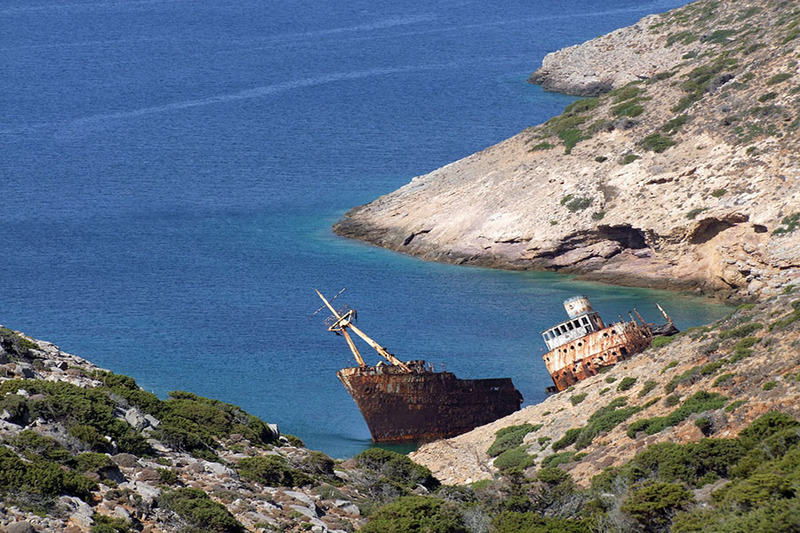 Amorgos is has been discovered for its optimal diving spots, hidden caves and picturesque landscapes. The main town of the island, Chora, looks like a labyrinth in which you would want to get lost. A true off the beaten track island, where the traditional white and blue Cycladic colors prevail and the hospitable residents welcome all tourists with joy.